One would imagine that Bentley might find it difficult to raise the bar for what is already one of the world’s most powerful SUVs — the Bentayga V8. Yet that is precisely what the British luxury brand has delivered with the recently launched, special edition Bentayga V8 Design Series. 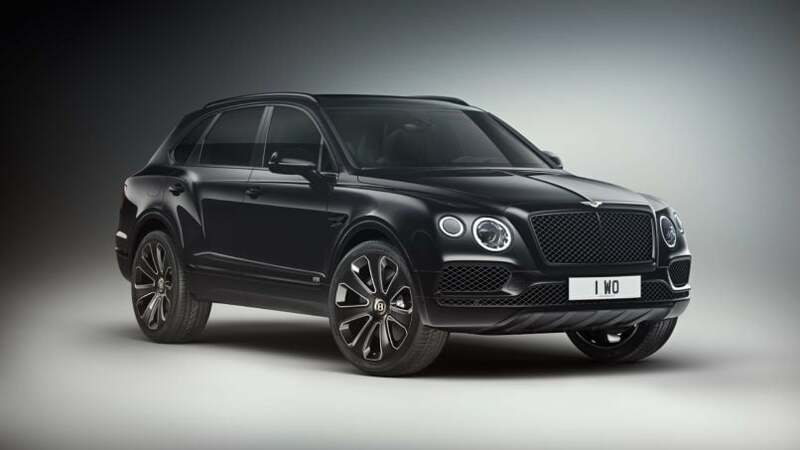 Taking the Bentayga V8 with the blackline trim specification as standard, the new range of SUVs offer a body-coloured front bumper apron (perfectly matching the selected colour of the vehicle) and twin gloss exhaust tailpipes. These not only give a sleeker finish but also amplify the vehicle’s sporting character. The new seven-spoke Paragon wheels by Mulliner are an especially noteworthy feature of the exterior. Presented in a metallic, dark palladium grey, these contain a special self-levelling badge, which essentially means that Bentley’s ‘B’ logo, as seen in the centre of the wheel, remains in the upright position whenever the SUV comes to a stop — not that a Bentley needs any help being recognised. The magic continues inside with an attractive duotone colour palette in four themes — pillar-box red, orange, Mulliner white and Klein blue. But it’s Bentley’s first ever inclusion of a split-colour line that creates a truly striking effect, as a vividly contrasting colour streaks around the console and dashboard in the front cabin. It is, however, in upping Bentley’s tradition of providing premium luxury that the Bentayga V8 Design Series strikes the perfect notes. Created especially for these special edition SUVs, the diamond pattern of the new glossy carbon-fibre weave that covers the dashboard and the doors adds to the rich elegance of the interiors, and also complements the main hide upholstery of the seats. In the middle of the central fascia panel is a Breitling clock with diamond insets decorating its mother-of-pearl dial — a perfect touch of indulgence. Classy makeover notwithstanding, the Bentayga V8 retains its impressive sporting prowess, powered as it is by a 4.0-litre petrol engine, which cranks out 542hp of torque and 770Nm. This means that the SUV can reach a top speed of 290kph and go from 0 to 100kph in a mere 4.5 seconds. One is reminded of Walter Owen Bentley’s objective when he founded the company in 1919: “To build a fast car, a good car, the best in its class.” He seems to have struck gold.